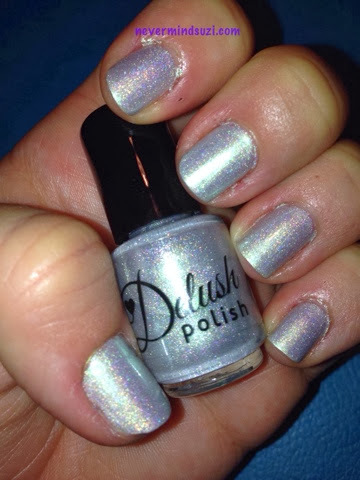 Unicorn Kisses is a super soft holographic beauty from Delush Polish. It's full of beautiful rainbows, which are subtly hidden depending on the lighting. This would be beautiful as a wedding polish! !